Should the governments of Canada and Nova Scotia name something after a neo-Nazi? It’s not a hypothetical question. Fall River, N.S., (pop. 11,526) is a community in Halifax’s regional municipality. By all accounts, it’s a lovely spot and the locals are nice. If you go hiking on a trail in the area, you may spot a bear, a bobcat or the occasional coyote. Tillmann Brook runs alongside such a trail. According to Natural Resources Canada, which oversees such things, Tillmann Brook’s name is designated as “official.” The decision apparently goes back to 1999 and would have been made by something called the Geographical Names Board of Canada, with some participation by Nova Scotia’s government. Tillmann Brook is a river, basically, that flows from Soldier Lake into Miller Kale. There’s a little waterfall on it and people are known to regularly hike there to take a look. What’s less known, however, is whether any of the visitors – or even locals – are aware of the origins of Tillmann Brook’s name. Because there’s a problem with its name – and John Mark Tillmann is the problem. 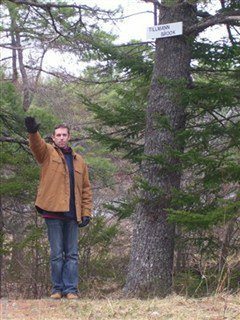 He’s proud of Tillmann Brook’s name change and he has even been known to pose beside a Tillmann Brook sign for a photograph – making a Nazi salute. Tillmann is a notorious sort of fellow. You may have even seen him on TV. He’s perhaps better known for being a very successful art thief: in January 2013, police arrested him for just that. Interpol, U.S. Homeland Security, the FBI, the RCMP and the Royal Newfoundland Constabulary were involved in the case – and found more than 10,000 artifacts at his home, including a letter written by George Washington, valued at more than $1 million. He pleaded guilty to charges of fraud, theft, possession of property obtained by crime, possession of a forged document, obstruction of justice and providing a false statement. And he was granted full parole just three years later. Born in Halifax in the 1960s, Tillmann was a handsome, charming fellow. He grew up in a relatively affluent family. 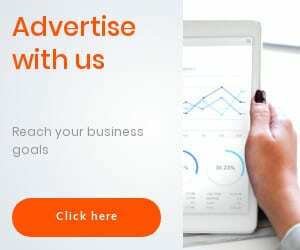 He obtained a degree in marketing and travelled to Russia, where he learned to speak the language. While there, he married a beautiful Russian university student, and the two of them were a veritable Bonnie and Clyde, travelling all over Europe and the Americas, swiping art and artifacts. Tillmann mainly stole valuable things, the police say, for kicks. CBC’s The Fifth Estate and American media have paid a lot of attention to his art heists. Less attention, however, has been given to his political views. That’s unfortunate, because Tillmann is a self-admitted Nazi fan. There were Nazi armbands and insignia and whatnot, too, all carefully maintained. Oh, and he positioned a Nazi flag over a railing, where neighbours could see it. Maybe he wanted them to see it. In Fall River, in fact, there’s a widely-held view that Tillmann – aided and abetted by his mother – successfully lobbied to get the brook’s name changed to Tillmann to emphasize his German antecedents. To make Jews feel uncomfortable. “There’s a Jew who lives near there,” says Tillmann in a self-made 2011 video. “It’s an appropriate name to put near him.” He then gives dark laugh. How did a proud Nazi supporter get a name change to, as he admits, make Jews feel uncomfortable? The folks at the Geographical Names Board of Canada know all about the Tillmann Brook problem but they say they can’t talk about it. They refer queries to Nova Scotia, which they say initiated the name change. Nova Scotia’s Geographic Information Services, meanwhile, said a “support Specialist” would respond. Days later, they still haven’t. So how was a known and notorious Nazi enthusiast allowed to pull a fast one on two levels of government – so he could upset Jewish Nova Scotians? And, now that they know, will they clean up their mess? Many questions. In the John Mark Tillmann case, answers remain elusive. Troy Media columnist Warren Kinsella is a Canadian journalist, political adviser and commentator. His latest book, Recipe For Hate, has just been published across North America and Europe by Dundurn Press.